How to Make a Slick Tech Cube for Air Quality #CitizenScience #Arduino #DIY #environment « Adafruit Industries – Makers, hackers, artists, designers and engineers! The term air quality monitor really doesn’t do this build justice. This is Marc Finn’s Atmoscan—an epic monitor in a cube that will gather almost anything you can imagine in your surroundings and spit out readings on a gorgeous LCD color display. The device will get you temperature, humidity, barometric pressure, PM1.0, PM2.5 and PM10 for starters. It will also give you data on CO2, CO, NO2 and VOCs. However, what’s really impressive is that it also detects radiation. 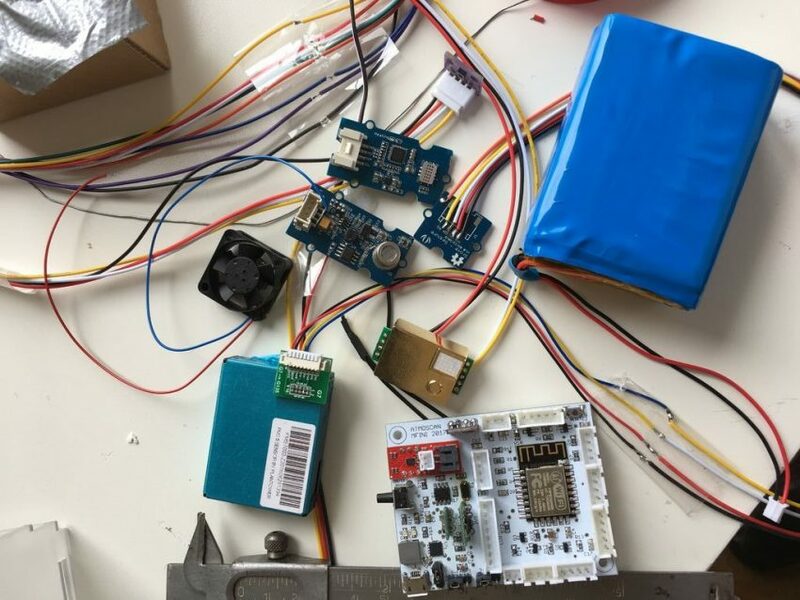 Marc spent considerable time testing sensors, creating a custom board with an ESP 12-E, and figuring out a workaround for memory space for the graphics. The result is not only data from sensors, but data from services like Weather Underground and Plane Spotter. Along with the good looks, this device is gesture controlled. In fact, the acrylic layer on the top of the cube had to be thinner in order for the gesture sensor to function. Marc has ideas for improvements, but for now the project is entered in the Epilog Challenge 9 contest at Instructables, which is appropriate since the winner receives a laser cutter (wouldn’t that be great for future cubes). So far there has been a ton of interest on this Instructable and Marc has actually been mailing out his extra boards. He claims he doesn’t have the time to pursue a KickStarter, but perhaps others will take up the cause since this is a project that deserves to be expanded. 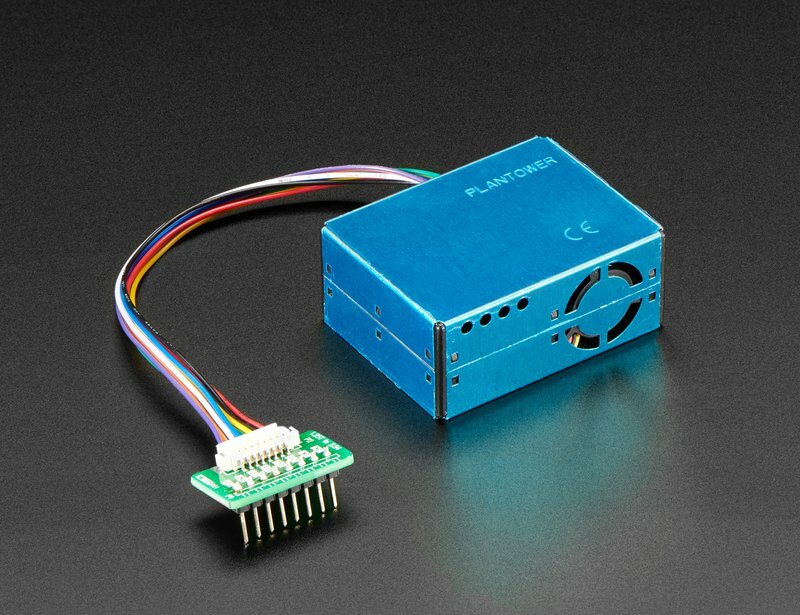 If you would like to learn more about sensing particulate matter, check out our learning guide for the PM2.5 Air Quality Sensor. You’ll discover how the sensor functions and find test code for Arduino and CircuitPython. Be empowered to explore your environment.